Today’s lot must have had one of the most unenviable tasks in post-punk history when, at the Glasgow Apollo in November 1982, they were the support act on the night we knew that The Jam were playing their final Scottish gig on their farewell tour. Most people just couldn’t wait for APB to get off the stage but from what I can remember they gave a tremendous account of themselves never letting the occasion or the impatience of the crowd ruin their performance. They were from Aberdeen and by the time they were on the stage that night they had already released four singles on the locally based Oily Records. Their sound was very much focussed on funk and soul, and with Paul Weller increasingly demonstrating his own love for the genres, it was no surprise that he declared himself a fan. Despite having such a high-profile champion, APB never enjoyed any commercial success. After a fifth single for Oily they signed to Albion Records in early 1984 for whom they released two singles which, although ignored at home, found much popularity on the dance floor of a number of clubs in New York and led to the band becoming regulars on the local gig circuit as well as enjoying exposure through college radio. The band worked particularly hard between 1985 and 1987 with a number of singles being released on Link Records in the USA as well as on their own Red River imprint at home. All to no avail in terms of fame and fortune. It was recorded for the David ‘Kid’ Jensen show on BBC Radio 1 in June 1982. What is most bizarre about the information on the back of the sleeve is that you could write to the band c/o Oily Records in Aberdeen but the group’s management was based in New York which indicates I guess where the band’s hearts and minds really lay. Being an American with a love of British pop and rock from the Punk and Post Punk Era, there are literally thousands of song which I consider cult classics, but with just the slightest attention on the interweb it can be determined that they were indeed hits in their native land. 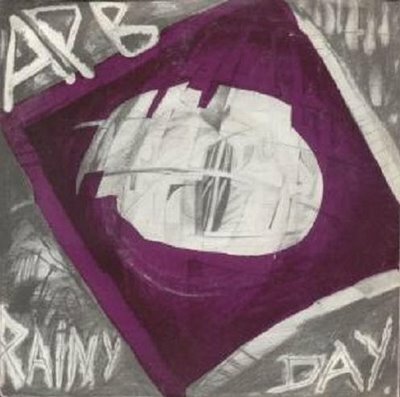 One band that had the odd distinction of being quite bid in NYC in the early to mid 1980’s but only had a whisper of success in the UK was APB. Scots with a massive love of angular guitar, funky bass and a pure pop sensibility, I just don’t know why each of their first 5 or 6 singles didn’t storm the UK charts. They gained attention from Peel and Jensen but went no where in the charts. Their biggest success was a Billboard #1 Dance/Club Chart hit with What Kind Of Girl in 1984 on the backs of a seemingly unlikely occurance – underground success in NYC at the hands of a few DJ’s and radio programers with their ears to the ground. Their NYC success was all but unknown to the band for almost 2 years, but their sound was right on target for the City’s college radio and the dance clubs like Peppermint Lounge and Danceteria. This was a time when ESG, NY Peech Boys and Material were spreading left of center funk all over the City. The story goes that someone at one of the college radio stations called up their label in Scotland, Oily, for some more info on the band and that was the first time anyone at the label or the band were aware of the cult following they had in America’s biggest city and Tri-State area. A quick set of dates on the East Coast went down a smash…I was at 2 of those shows and they would come back something like a dozen more time over the coming years and I don’t believe I missed any of those shows. Their tours would usually start and finish at NYC’s The Ritz Club and they were sold out events. For me the track of theirs that was the most personal and thus a classic as well was Rainy Day. I love Shoot You Down and One Day which are equal in power and hip gyrating attack, but Rainy Day had that plaintive, almost angry lyric that just grabbed me. It’s a song about a day with nothing going right and not knowing exactly what to blame it on. I count it as one of my Favorite 50 songs of all time for all those reasons. It was also the track I always remember getting the crowd going mental – part angry anthem and manic dance groove. The middle section turns into a reel with three sets of lyrics playing off each other simultaneously creating a tense and intricate groove. The Ritz’s dancefloor would actually move as if a small earthquake was heaving and swaying it during Rainy Day. The middle section turns into a reel with three sets of lyrics playing off each other simultaneously creating a tense and intricate groove.